If you know someone on your holiday gift list like this, maybe they need some new local areas to explore. Grab a new waterproof map from Total Escape, NatGeo, Tom Harrison, USDA, we have 'em all. 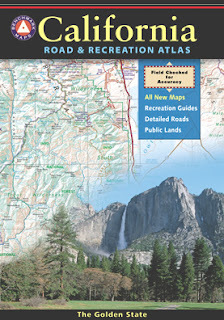 If plastic durability is not a concern, then try the wonderful, accurate, large, overview atlas (book map) for every California road trip. Benchmark brand is the best with big, detailed, dirt road, hot spring, outdoor beauty. Way better than DeLorme. Need to get a gift for the outdoor person in your life, well we can show you some great, inexpensive items. Stuff that every hikers or camper could use. Waterproof maps are by far the easy choice, but deciding on a local region might be a bit difficult. Yosemite maps and Sequoia are popular choices, but so is Death Valley. TIP: pick the next place you want to vacation with them. See all CAMP GEAR here. Below are some 'outdoor gift' items that DanaMite recommends. It is bound to happen. You travel to somewhere very cool, far away from home - and you want to camp out at least a few nights. The skies call and the scenery demands it! But you really don't wanna lug all your camp gear around with your luggage w/ the airport hassels. Renting gear locally can be done, depending of course, on where you want to rent. California is an outdoor paradise, simply said and most come here for the Wilderness views and awesome back road travels. California is a mecca for all kindsa recreation, so there are a few gear rental companies around. Make sure to tell the you found them on Total Escape too! In California, you can find rental shops for outdoor recreation, kayaking, backpacking, mountain biking. Lifetime warranties on outdoor gear are few and far between. Most supplies subjected to hard weather conditions and wilderness elevations damage quickly, unless they are designed to withstand these kinda harsh conditions. A new, non name brand, dirt cheap tent can last a year or two. There are plenty of used tents and gear on Craigslist.org. Coleman tents usually last an average of 10 years, depending on the user frequency. Total Escape's DanaMite camps out about 20 times per year, so a more durable tent was needed. Wind-proofing is non-existant, but weather proofing and bubble designs make tents more wind resistant. 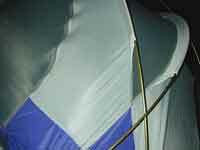 Eureka tents can hold up to some mighty crazy wind gusts and many campers swear by this brand alone. Over a decade ago, a small gear company named Paha Que asked us to review a small tent of theirs. This is the 10-year-after-the-fact write-up on that product. Yep, the zippers are always the first to fail... within the first 5 years, but the manufacturer stood behind the lifetime warranty 100%. They repaired or replaced the zippers and everyone was indeed a happy camper. Unfortunately Paha Que doesn't make the Black Mountain tent anymore, but you can still find this brand on Amazon with links below. Time is of the essence, RIGHT NOW. Autumn colors with aspen trees started changing around September - and this fall coloring will last until the first deep freeze or snow fall, usually October. June Lake, Mammoth, Rock Creek & Twin Lakes are all awesome spots. Green Creek, Upper Summer Meadows, Virginia Lakes and Convict Lake are also worth checking out. 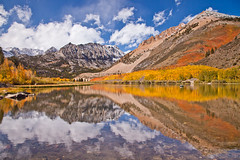 The entire Eastern Sierra from Bishop to Tahoe is California's best for fall colors, fishing and sightseeing. River trash runs rampant in the Kern River Valley. 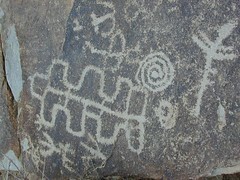 Party animal campers leave their marks well into the next generation for this canyon. Kern is the closest BIG RIVER to SoCal - so the neglect and abuse are starting to really make a big impression. This popular recreation spot is often a rafters first time exploring the sport, a mountain bike haven, a backpacker or fishermen's paradise - but sadly, Kern Canyon needs help. California Wilderness boundaries are becoming less and less pristine. 2. of or pertaining to the earliest period or state; primitive. Imagine a weekend at the river in late summer. No crowds, cuz the kids are back in school. Free camping all over the place. Hot sunny days, thunderstorms, mountain bike trails and mountain breezes. Big fish in the river! Sadly - your vision of beauty becomes soiled as a balled up baby diaper goes floating by. Microtrash beaches consist of deep, soft sand full of cigarette butts and bottle caps, rivers polluted with beer cans and broken glass - and graffiti on numerous rocks. Yep, this is your big wilderness play ground for the Southern Sierras. What are we gonna do about it? 2010 KERN wildfire scorches most recent @ RiverKern & Lower Kern River, W of Remington Hot Springs. 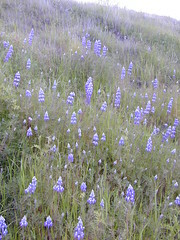 The alpine Sonora Highway #108 crests the Sierra Nevada mountains at 9000' elevation and usually has the deepest snow in the region. It just opened again- for the short summer season. 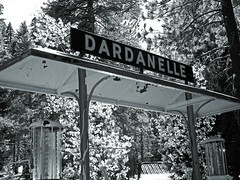 Dardanelle is a small village in the forests of granite walls - a general store w/ gasoline, showers, RV park, cabin rentals and a National Forest Campground across the street. Stanislaus National Forest is the place. 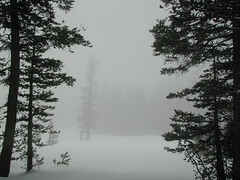 Carson Iceberg Wilderness and Emigrant Wilderness are located nearby. Los Padres National Forest spans the coastal ranges from the edges of Monterey Bay down to the mountains of Ojai California. This forest offers nearly 1000 miles of designated ORV routes and back roads. Sadly, there are also hundreds of miles of undocumented trails, most of which are the result of illegal vehicle (quad or bike) use on the Mt. 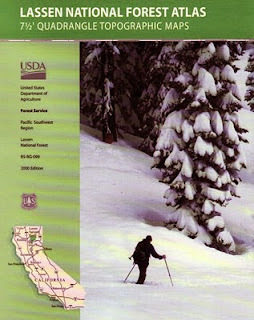 Pinos & Santa Lucia Ranger Districts. Areas suffering from the most intensive use include: Mutau/Hungry Valley, Ballinger Canyon, the Highway 33 Corridor, Pozo-LaPanza, and Rockfront. Basically any OHV trails near or around Gorman, Frazier Park, Pine Mountain, Ventucopa, New Cuyama, Santa Maria & Arroyo Grande, CA. Total Escape list outdoor recreation for everyone, so please respect the land, the trails & keep 'em open. Simple: Stay on the trail! 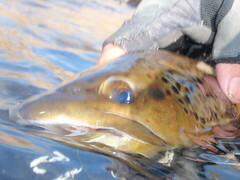 The brown eye of Mono. A neighbor moved away several years ago, so he could ski Mammoth and work in the Eastern Sierra. 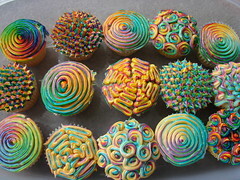 A dream perhaps. Now here he is years later, working at the Mobile deli on the far reaches of Yosemite, working 3 jobs.... fly fishing, making your lunch and ski instructing his days away. Way to go buddy! (2013 update) Brandon just informed me via Facebook that he is now living in France, running a Mexican Restaurant. No joke. This guys really knows how to live an adventurous life! Did you know snowmobile rentals at Huntington Lake, are half the price of the ones at Mammoth rentals? Sierra Summit Resort and a bitchin' old Saloon nearby. Over 100 miles of groomed trails in the High Sierra. Let's go. It was another one of those long and tiring days in the office and all I wanted to do was find myself on a open highway heading out of town. So right after the time clock struck five, I raced home, picked up my bags which were packed with my clothing and gear the night before, stopped at my girlfriends home to rescue her from the mundane existence of the apartment, we found ourselves finally on our way into snow country of the Sierra-Nevadas. Our destination was a small resort community called Lakeshore, situated on the shore of Lake Huntington between the Ansel Adams and John Muir Wildernesses in the Sierra National Forest. The drive up the mountain at dark was breath taking and clear, a night in March with a full moon out and a fresh blanket of snow gracing our presence all around us as we drove our truck through the winding mountain road. The temperature must of been in the teens that night but that didn't faze us as we looked out of our car windows at the spectacular sight Mother Nature had in store for us. Soft snow pillows hung on tree limbs everywhere, glistening moonlight bounced off the gentle lake as we drove along side and huge snow drifts towered on the road shoulder as we traveled to our resort lodge destination. at our weekend getaway. The check into the lodge was fast and simple, soon we found ourselves settling into a decent rustic cabin with drifts of snow twelve feet high all around. Thanks to the constant plowing of roads, everything was accessible within reason due to El Ninos erratic behavior. The next day we became captivated by the raw beauty of waking in a wintery wonderland, hardly hours away from the hustle and bustle of the big cities of Los Angeles and San Francisco. After a bit of exploring around the frozen lake, we took off on a rented snowmobile --- headed for the back country, where we became amazed by gorgeous mountain lookouts, all the way across to the Eastern Sierra Minarets @ Mammoth. Untouched wilderness full of snow capped mountain peaks, lost tranquil, pine filled valleys, frozen pools and streams locked in a time zone of raw beauty. I wanted to stay gazing for hours but our destination was deep in the wilderness valley about 25 miles away. After passing through woodsy trails and snowy spectaculars we arrived at our place of relaxation, the Mono Hot Springs. Not the resort, but the primitive tubs perched on the rivers edge. This out of the way spot has been frequented over the years by naturalists like ourselves who have pulled off the trail to dip into the 90 degree plus waters that caress the body with mineral rich fluids. Never have I been so relaxed in an environment with no one around for miles, white snow all around with a trickling stream close by for awe and amazement. If it wasn't for the deadline for the snowmobile return, we could of stayed at this place til sundown. The ride home on the machine, my body seemed to be thanking my mind for bringing it to such an inspiring place. My mood was calm and invigorated by the mountain waters. Back at the lodge after freshening up, my girlfriend and I discussed how lucky we were to be able to experience activities like these that really don't require throngs of urbanites to complicate and mettle up our space. That night we enjoyed an excellent meal inside the lodge dining room which didn't weight us down. Then over to the saloon we went to indulge in spirits, a small wedding party was happening were participates graced our presence with drunken humor. Even though they looked like the stereo typical yuppies partying, this didn't bother us Angelinos - as we knew that they had come to the same spot to be enveloped by the sheer beauty and splendor of Lakeshore. The River, the sunshine, the JetSkis, the desert, the dirt roads, the canyons, the water, the fishing. Long before there was a Hoover Dam, or the casinos at Laughlin, there were people living in this desert. Surviving the harsh elements, as we cannot even comprehend in our luxurious ways. We drive by ancient locations, in our air conditioned vehicles with leather seats at 75 mph, heading for the vacation lands below. The big river. 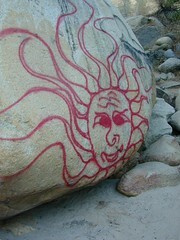 Up on the hill, a louder voice calls to me deep within a white sandy canyon. I explore, I hike, I enjoy the outdoors. all parks, all forests, all mountains, all deserts, all outdoors, always. Since getting lost on vacation is no fun at all, Total Escape has all the maps of California covered. Snow parks, snowmobiling, sledding spots, fishing spots, petroglyphs, hot springs, beaches, mountain biking, cabin communities. Hiking maps, topographic trails, campgrounds, off road routes, equestrian trails. Check out the new map store soon! Tonight my meaningful post hits close to home. My neighbor was crushed to death by a huge pine tree falling on his house, this stormy, windy, winter morning. He was the sweetest boy in the neighborhood. Seriously. Devin was the first kid I met "on the mountain", late one night in 2002, walking across the baseball diamond at Lampkin Park, in Pine Mountain. Low temps in the 20's, plus some snow on the ground - and 2 teens needed some help, a ride up the hill. Rural youth, always hitch hiking back and forth between Pine Mountain and Crazier Park. Years later, Devin showed up to a party or two. Then he installed my bitchin baseboards in my purple shag, hippy love den. His dad and him worked for a week one summer, helping me with home improvements. This past weekend I thought about you, as I finally painted over the penciled in guide marks you drew on my walls. Devin you are in our thoughts tonight. About 12 hours ago, you may have heard the strong wind in your dreams - and then the earth took you from us. You were kind, you were fun, always (Straight Edge or not). You were great dude. You are much loved and you will be misssed, terribly! Let us see the snow. You can pick up any popular road atlas of California in the supermarket. These Rand McNalley's and Thomas Brothers map books will show you how to get around in the freeways and the cities of Cali. We wanna show you more, much more. The real scenic drives, the back roads and rural highways. 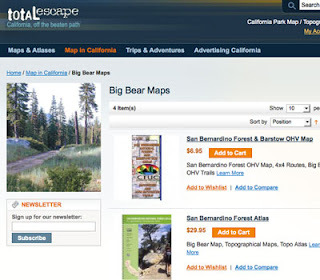 Total Escape has every possible wilderness map you could ever need for this golden state. The Sierra mountains, the Coast, SoCal and NorCal. We want to inspire you to be outside, to hike and explore the back roads. To fish, kayak and snow ski. To re-create in our recreation paradise called Cali-forn-ia.